From putting on street festivals to pop up markets, the possibilities are endless. Crowdfunding has been used to raise the profile of projects, gather public support, and raise the money needed to make it happen. At Spacehive we’re all about places, spaces and communities. Always have been. Which means we know all there is to know about getting them funded. If you have a great idea to create places used by the community or even just to transform them temporarily then we can help. Your idea could be anything from a permanent structure to an event that lasts anything from a day to a lifetime. As long as it’s a tangible project, not a cause, then it doesn’t matter who owns the land or building – the key thing is that it’s not just you that benefits from the project. Watch this online training session with our expert community manager Harriet Gridley and learn the skills behind running a successful crowdfunding campaign and turn your idea into a reality. 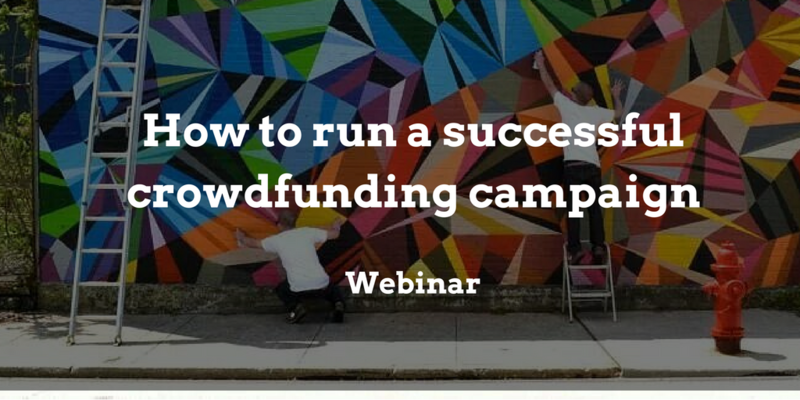 Start planning your campaign with our complete guide to crowdfunding here. Then get started over on Spacehive at www.spacehive.com/create. For more workshops and training sessions from Spacehive, check out our event listings here.